We at Red Sox Maineiacs have been banging this drum all year long, so allow me to do it again: WHAT THE HELL ARE WE THINKING LETTING THIS GUY WALK OUT THAT DOOR!??!?! The Sox Brass should be ashamed that they couldn’t get a deal done to extend Jon Lester. Do I need to re-hash all the reasons why? That he was smack dab in his prime? That he was a durable workhorse? That he was proven to thrive in the Boston market? That he raised his game on the big stage of the postseason? We should have locked this guy up long ago. Guys like this don’t grow on trees. For those of you hoping the Sox will open the check book and re-sign Lester this winter, I have some nice AOL stock I would like to sell you. Yes, the Sox have a ton of cash to spend this winter. Yes, Jon Lester has said he would consider re-signing in Boston this winter. But what makes you think that the Sox Brass is going to change their minds about going to 6 or 7 years for a 30-year-old pitcher this winter? And what makes you think Jon Lester isn’t going to get what he deserves: a long, ace-money contract. Here’s where this gets a little weird: I like this trade! I hate the fact that Lester has probably thrown his last pitch as a Boston Red Sox, but at this point he is going to free agency, so the Sox had to move him now. I was resigned to the fact that we were going to get Matt Kemp from the Dodgers or a bundle of prospects from somebody else. But to get an all-star outfielder in Yoenis Cespedes signed through 2015 with the biggest power arm and one of the biggest power bats in baseball? Not bad. In fact, when you consider how much of a train wreck the Sox outfield has been this season and is likely to continue to be next season, this is a good addition for the Sox. We get to say “Yo-ee-nis” a lot for the next 14 months! Let’s talk about Cespedes: He burst onto the MLB scene when he defected from Cuba entering 2012, with Youtube videos of Cespedes showcasing superhuman-like feats. How will Cespedes fit into Boston? 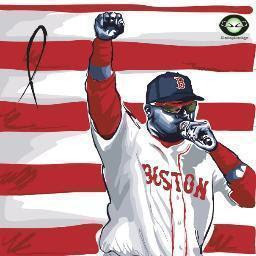 Well, in case you were wondering here are the OPS stats for the players who have most commonly been manning the outfield for Boston this season: Jackie Bradley Jr: .604, Jonny Gomes: .683, Daniel Nava: .658, Shane Victorino (in only 30 games played): .685, Grady Sizemore: .612, and yes the Slap Weasel at .772. That a gluttony of sadness, folks. There’s more pop in a bottle of Brut than our outfield this season. Cespedes will immediately become our best outfielder, and becomes capable of launching 35 homers next year (several over the monster) after escaping the Oakland Yard Where Homers Go To Die. He can become our best power hitting outfielder since Manny Ramirez. An Ortiz/Napoli/Cespedes 3-4-5 trio next year looking pretty freaking good (if you don’t mind watching approximately 2,546 strikeouts next season). And, ah yes, I almost forgot. Any Red Sox acquisition must be wrung through this wringer: will Cespedes be able to perform in the fishbowl of media that is Fenway Park? In this case, the yapping heads who are sure to bring up this point ad infinitum (I can hear the sound of Shaughnessy’s keys already clacking away on this article) might have a case. Cespedes has only known the Oakland clubhouse, which is renowned for being a carefree, let your freak flag fly kind of atmosphere. I’m not sure how much media scrutiny or scorn he has faced on the Bay. When Cespedes inevitably has a 0-16 slide with 9 K’s, the gaggle of Globe geese will pounce on him quickly. Here’s hoping he can handle it. What will the Red Sox 2015 rotation look like? Lester is gone, Jake Peavy is gone, Felix Doubront is gone, and sitting here about three hours short of the deadline, word is John Lackey is going to be gone too. 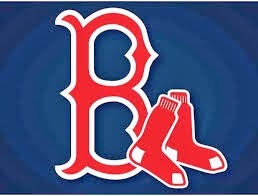 Is our 2015 rotation Buchholz, De La Rosa, Webster, Ranaudo, and Workman? No doubt the Sox will look for a pitcher in return for Lackey or sign one or two this winter...right? What else will Benny C and the Brass do before 4:00pm? Check back for updates in the comments section! Well, that didn't take long. The Sox have traded John Lackey to the Cardinals for OF/1B Allen Craig and SP Joe Kelly. Initial reaction: another good trade by Benny C! For Lester, Lackey, and Gomes, he's gotten big-league proven talent in the OF and the rotation. Not a bad haul, I say. I still wish the Sox were not in the sell-all mode at the deadline a couple of months after witnessing their World Series rings ceremony, but since they are, I think they've done a pretty good job here. I prefer these three guys over a glut of prospects that may or may not show anything in the MLB and add to an already-crowded Boston prospect cupboard (which, by the way, is still fully stocked with prime talent). In case you can't read the Twitter box on the right, Joe Kelly already has postseason/World Series starting experience and is locked up through 2018, and Craig has three years left on his deal. Solid acquisitions. Benny C working it today. Miller up next? They need to trade Stephen Drew for a bag of balls, put Xander back at SS where he should have been all season long, and have the Slap Weasel play 3B for the rest of this season. If nothing else to ease the logjam they suddenly have in the OF. Carp and Nava can either be traded/DFA'd, sent to AAA, or be pinch hitters. The question is what to do with Victorino? Andrew Miller is on tap next. Will they get a top prospect for him? If they do this has been an amazing day for Ben Cherington. Next year's rotation: Buchholz, Kelly, Webster, Raunaudo, De La Rosa (they have to make a trade or sign some pitching this offseason). And those are all right-handed pitchers. You'd like to have at least one LHP in the rotation, preferably two. Henry Owens and Brian Johnson won't be ready. Owens might be ready as a #5 starter, but I don't think they'll go with an entirely young starting rotation next year. Not after this season, when it appears that they relied on too many rookies in the starting lineup. They won't make the same mistake with the rotation next year. I don't think they want to waste another season trying to break in 4-5 young starting pitchers. 1-2 might be do able, but not 4. They have to sign Lester/Scherzer in FA or trade for Hamels or someone like him to bolster the rotation in '15. The moves the Red Sox have made today clearly show that they are retooling for 2015. I don't think they are going to waste that season with a rotation of rookies. Seeing rumors that Sox and Tigers are close to a deal for Andrew Miller. Miller would be returning to the team that drafted him if it happens. Here's hoping Stephen Drew is in the trade as well. How can the Tigers be good with Eugenio Suarez at SS for their postseason run? Miller and Drew to the Tigers makes sense. If Drew is not part of the trade then I could see him being a good candidate to be traded during the waiver trade period in August. HA! Good point. Not happening, but it's deadline day and there's a good chance Benny C and the Brass have had a conversation about it in their War Room. How much would you pay to be chilling in their War Room today? With the current (as of this moment) glut of OF-1B, is there any chance Napoli is dealt today and Craig made the first baseman?? Maybe not likely but something has to give. Right handed power is in demand, could Ben C get some team to overpay for Nap? Or is he too valuable right in Boston? Miller goes to the Orioles for Eduardo Rodriguez. I have never heard of Ed-Rod, but at AA Bowie this season he is 3-7 with a 4.79 ERA and 90 H given up in 82.2 IP. For what it is worth, I read a tweet from one of the Sox Prospects.com scouts saying he seen Rodriguez pitch vs. Henry Owens in the Eastern League and liked Rodriguez better. The only young O's hurlers rated higher were Gausman, Dylan Bundy, and Hunter Havey. Anthony Raunaudo has been told that he's going to start tomorrow night vs. the NYY. If nothing else the rest of the season will be a tryout for all the young pitchers in the rotation and possibly the bullpen. YES! The Sox move Stephen Drew, and to the Yankees no less! Stephen Drew has been traded to the New York Yankees. Now, will the Red Sox please move Xander back to SS and NOT MOVE HIM for the next decade? As well as give the Slap Weasel a chance to hold onto 3B as a permanent starting job, unless Willie Middle catches fire. What a day for the Sox Brass - re-built their OF and offense, opened up an audition period for young starters the next two months, and fixed their mistake of signing Drew/moving Xander. Reports trickling out that David Price is going to the Tigers. Making the Tigers and the A's the favorites to meet in the ALCS. So the Rays got Drew Smyly and Nick Franklin for David Price? Wow, the Sox did better for John Lackey. Although the Rays will probably get some prospects in the deal, too. WOW. What a day. Ben has largely rebuilt the offense, epecially if Bogaerts, JBJ, and CVaz can blossom for the rest of the year. Not enough veteran starting pitchers, but for the rest of the audition known as the 2014 season they are better off clearing the decks for the kids. Really looking forward to Ranaudo pitching tommorrow night. This winter the plan can move into the acquiring pitching phase, the Sox can easily put together a 3 or 4 player package for a starter.or two. For what it is worth I bet Justin Masterson is one, he fits there buy low theory.